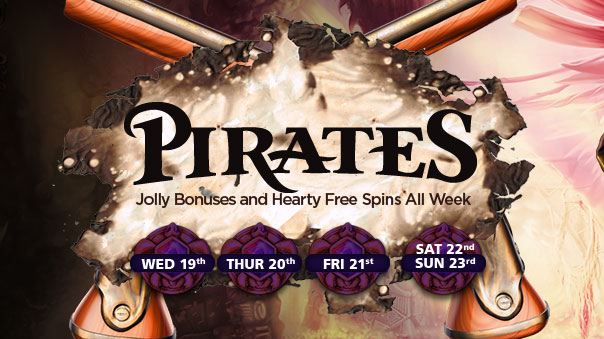 NextCasino started a promotional week called Pirates with daily offers like free slot spins and reload bonuses. From today until August 23rd you are able to claim a daily offer. Just follow the instructions below to claim your bonus. NextCasino is a very solid online casino that offers over 600 different games from providers like NetEnt, Microgaming, Play’n Go, Betsoft and Nextgen Gaming. They also payout winnings pretty fast, usually it only takes a day to reach your wallet and max 3 days for a bank transfer. New players are able to claim a 100% first deposit bonus up to €200,-, which also includes 100 free spins on several NetEnt slots. And each month you are able to claim a 50% reload bonus up to €300,-. NextCasino is definitely worth checking out.